See some reader reviews of The Snow Bride at AskDavid.com. I was completely enraptured by The Snow Bride. It’s the best story I’ve read in quite some time. Ms. Lindsay Townsend creates scenery so vibrant I thought I could touch the mistletoe and freeze from the cold. Magnus became a beautiful knight in spite of his scarred face and maimed body as I saw him through the eyes of the heroine. His spirit of kindness and self-sacrifice made me believe he had a heart as big as the sky. I fell in love with him. The Snow Bride is not an easy book to write about. Don’t get me wrong–it is easy to read, for the characters are engaging and the pacing is brisk and exciting. But the themes that bend and weave and interplay in the story are like quicksilver to catch and describe. Lindsay Townsend tells both a simple story and a complex one–a story of Christian healing and white magic battling against dark necromancy. It is a fairy tale, a beauty and the beast tale for the romantic at heart; but it is also a moral tale of good versus evil and light versus dark. The Snow Bride is all that, and more–a tale told by a modern beguiler who weaves her own magic to tell the tale of Magnus the scarred, ugly brute and Elfrida, the Snow Queen. This love story between two unlikely characters is very real and fully imagined. To Magnus, “if she [Elfrida] was a Madonna, he was a gargoyle.” And to Elfrida, he is her “man-angel in demon dress, her beast knight and snow knight.” Beauty, merge with beast…and delight us happily ever after. Five Stars. The novel is very exquisitely written, showing great depth of character and a well thought out plot line. The characters themselves are gorgeously written and vivid, making them seem almost lifelike in spots. 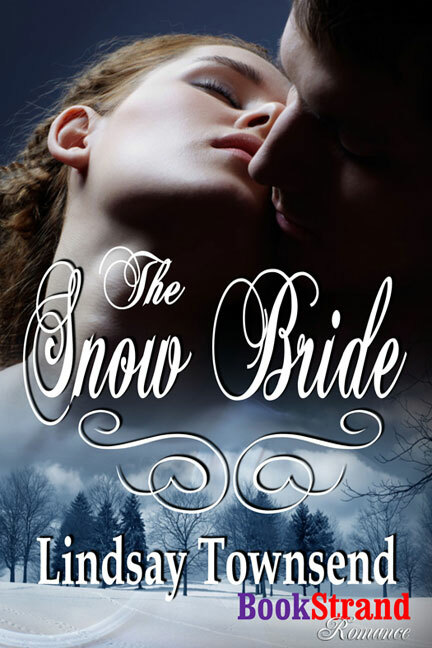 The Snow Bride is a fantastic story for romance lovers everywhere. This is a wonderful twist on Beauty and the Beast. The story unfolds for the reader and draws the reader in as they watch two strong willed people learn to compromise so that they can find the happiness they both want so badly. The paranormal elements in this one make it very interesting and will keep the reader guessing what is going on and what will happen next. For readers that enjoy Beauty and the Beast they will love this one and won’t want to miss it. The author took the original story and made it her own with the twist and turns she gave this tale. - Four red roses. Ms. Townsend's tale of these two lonely people joining forces to track him to his lair is non-stop, rich and lyrical. Her voice is distinctive, her writing style a delight, and the ending is both satisfying and promising in that a sequel would be possible. 4 Celtic Roses. The Snow Bride is and entertaining medieval love story, one of my favorite kinds. I enjoyed that Magnus is willing to woo Elfrida by treating her as an equal, no matter how hard it is for him to do. They have their ups and downs as they learn each other, leading to confusion and doubt on occasion. Both are well rounded, sometimes stubborn and proud characters, and willing to give and take to work together to rescue Elfrida’s sister. I enjoyed the glimpses of life at a noble’s castle, the look at the peasant’s and villages life styles. The banter between Magnus and Elfrida was entertaining, as was the growing love between The Snow Bride and Magnus. - 4 Hearts.